The National Memorial Arboretum (NMA) at Lichfield, Staffordshire commemorates and paystribute to all British, Commonwealth and Allied troops who fought and died in the cause of peaceand freedom in both World Wars. 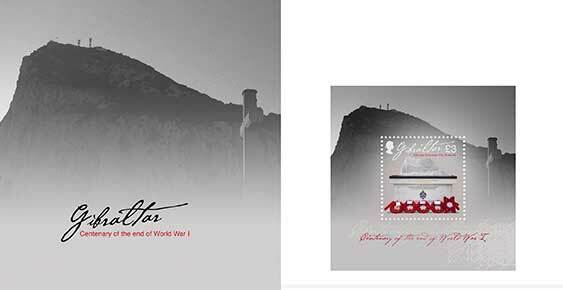 The Rock of Gibraltar War Memorial located at NMA recalls the sacrifice made by Gibraltarian members of the British Armed Forces in both World Wars, and the role played by both theRock and its civilian population, particularly in World War II. It is carved out of a 3.5 ton pieceof Limestone Rock and is dedicated to the Gibraltarians who paid the ultimate price and whosenames are carved in stone on this memorial. After an inspired visit to the National Memorial Arboretum by Gibraltarian Joe Brugada in August 2014, later assisted by designer Anselmo Torres, the Memorial was commissioned and officially unveiled by HM Government of Gibraltar on the 13th October 2015.